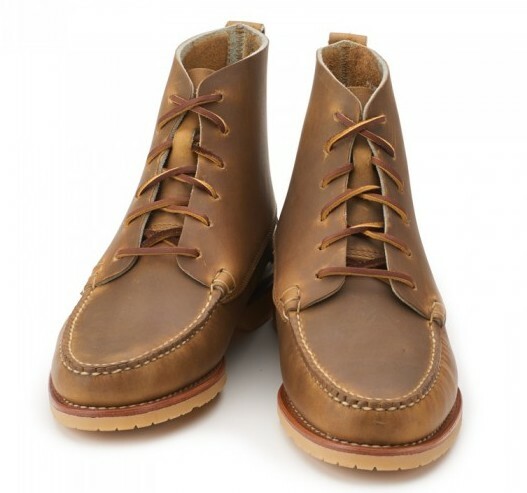 By now, your boatshoes should be well broken in and showing some solid wear. 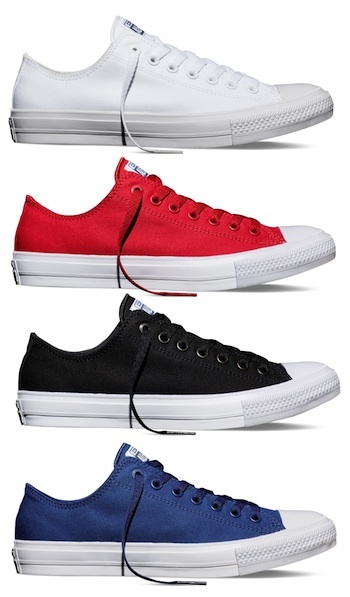 In fact, you may even be looking for a “nice” pair to sport around town. When we need a little luxury in our boatshoe rotation we tend to turn to the Sperry Gold Cup line. 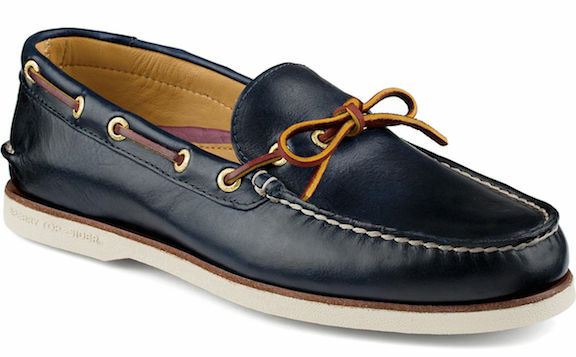 Their Authentic Original 1-Eye Boat Shoe is definitely a nice change of pace from time to time. District Wallet by Blue Claw Co.
For the last few years we’ve stayed away from traditional wallets. Instead, we stick with a pretty basic card carrier. Simple, with just enough room for the essentials. 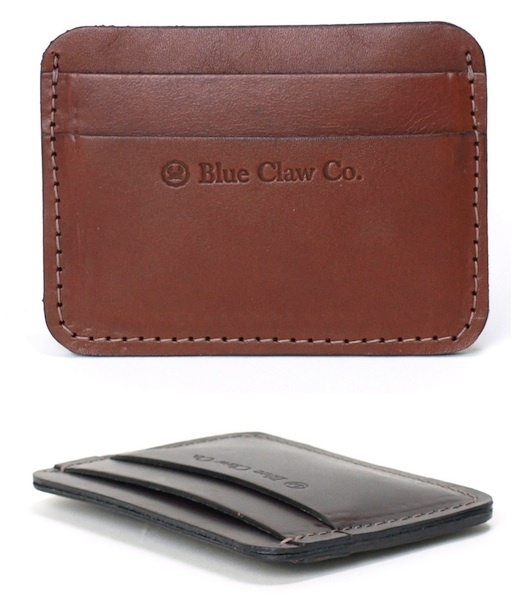 Whether you are just making the move to a card case, or are finally taking the plunge in an attempt to declutter your life, the District Wallet from Blue Claw Co. is a fantastic fit. 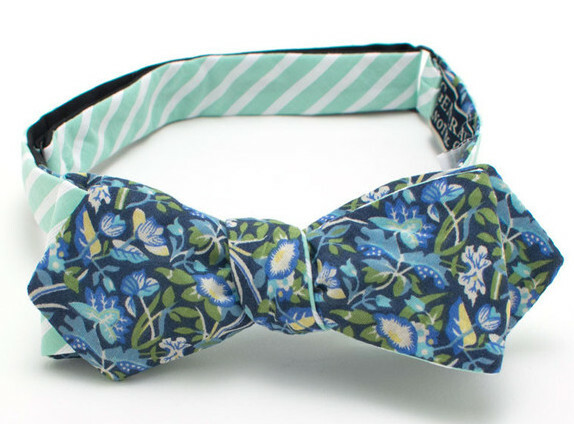 Blue Arbors and Mint Stripe Bow by General Knot & Co. Image: General Knot & Co.
Well, we thought we’d be past it by now, but we’re still on quite the floral kick when it comes to bowties. Things will calm down as temperatures begin to cool, but, for now, we’re going full bore with more and more floral prints. This week’s Bowtie Friday pick is the Blue Arbors and Mint Stripe Bow from General Knot & Co.
For casual pique polos, there are literally too many options on the market for us to count. We’ve tried more than we’d like to admit, but there are only a handful that we come back to time and time again. 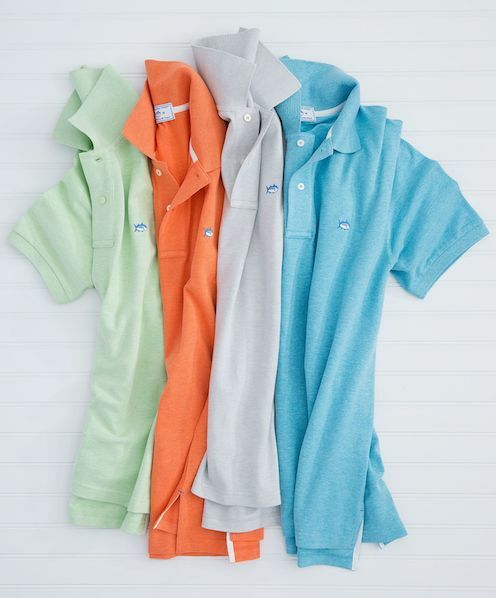 One of the few is the classic Skipjack Polo from Southern Tide. Recently we’ve really been digging their heathered options. Sometimes we come across things that we think are so cool we just have to share them. 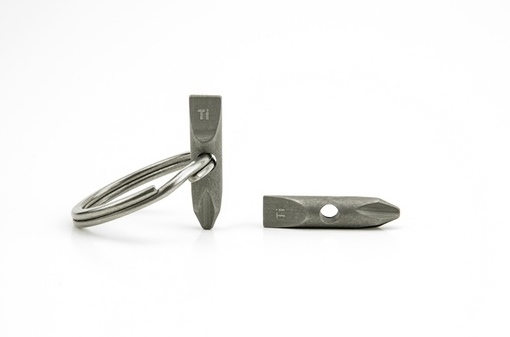 There may not be anything preppy about it, but the Titanium Pocket Bit that we found on Kickstarter is absolutely going into our EDC kit as soon as it arrives. Made from a solid titanium alloy, this simple tool will come in handy time and time again. In our opinion, it’s definitely a “why didn’t I think of that” kind of piece; never again will we be left searching for a screwdriver. Priced at only $10, this is a Kickstarter project we’re happy to put our support behind. You can never have too many navy blazers. Repeat, you can never have too many navy blazers. Whether you’re dressing one up, or just looking for the final layer of a casual look, the right navy blazer is never going to let you down. 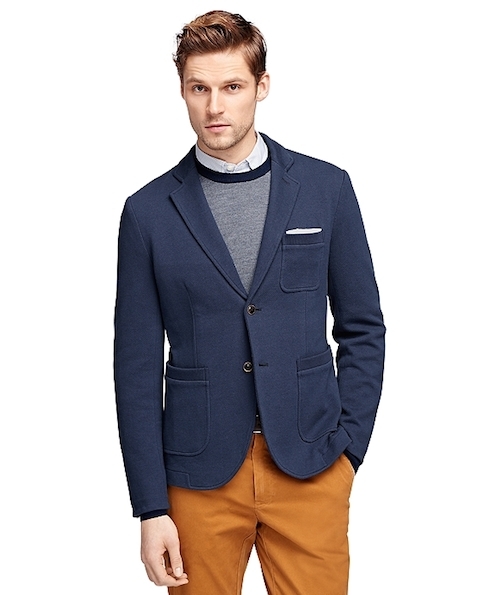 It looks like the next one for our collection will be the Knit Blazer from the Brooks Brothers Red Fleece collection. From the time we were little kids, there was one thing we could never turn down on a hot summer day; a bomb pop. The joy we got from those things as kids is always a pleasant memory when we happen across one these days and we were immediately sold when we first laid eyes on today’s Bowtie Friday pick. 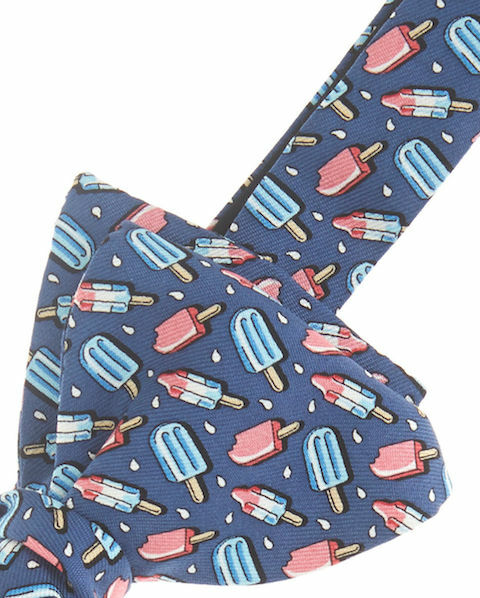 It’s the Popsicle Bow from Vineyard Vines. Our love for Criquet Players Shirts has been pretty well documented for a number of years. We wear them on and off the course, and they always garner a ton of compliments. Through the end of the day today, use the code GETAWAY and you’ll get a free Players Shirt with the purchase of any three full priced Players Shirts. As the boys down in Austin say, you never know when you’ll need an extra.